"...hell yeah, we found you some free lunch." I was surprised that most people don't know about Standard Chartered Bank's recent campaigns. We'd like to call them - "get in your pants" campaign. What the bank is trying to do is to literally "get in your pants" (through your wallets) by enticing consumers to sign up for credit cards with them. To do this, the bank is actually giving you money to sign up for their cards. 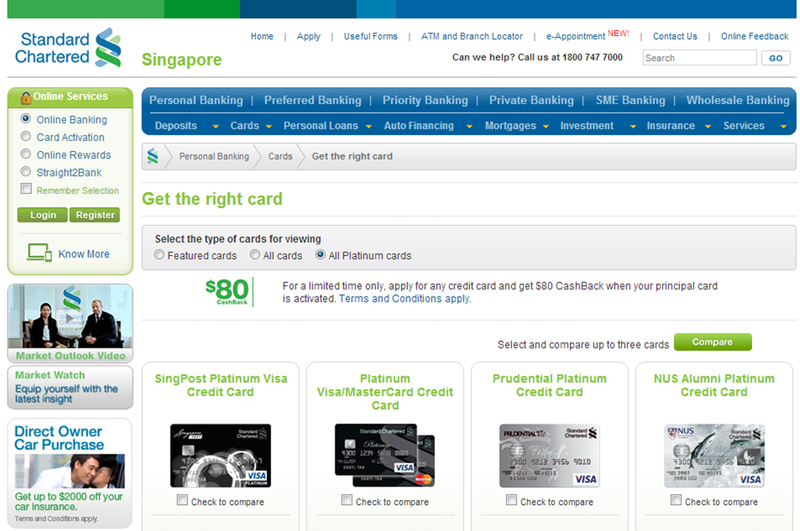 For a limited time only, consumers get a $80 credit into your account once the principal card is activated. You have until 30th June 2013 to take action. The $80 cashback is applicable for the first 2 principal credit cards, which brings the total amount they will put in your wallet to $160. Yup, $160 worth of free lunches. You have 6 months to use this credit, after which it will be forfeited. In case you are wondering, it is TRUE. This is the extent which banks will go to just to "get in your pants". Just remember, if you really don't wish to use their cards after you reap the $160 benefits, just set a reminder in your calendar to cancel the card 6 months later.